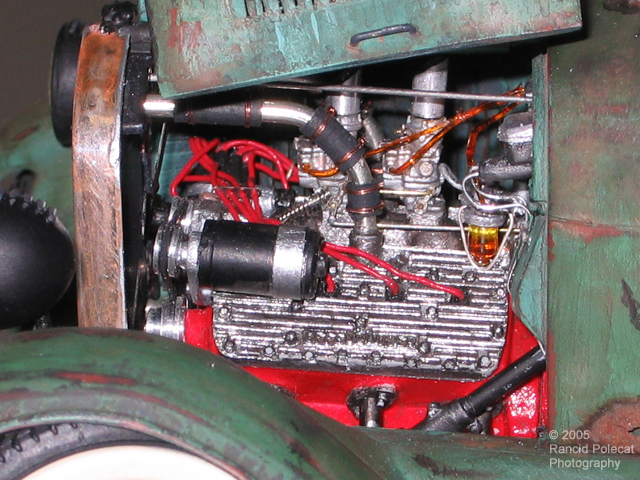 A key element of Tommy's truck is the Replica's and Miniatures Company of Maryland flat head V8 engine. Tommy detailed the engine in a manner befitting a speed shop's on-the-road advertisement. To go along with the hopped-up engine, Tommy had to scratchbuild a high-performance exhaust system, which dumps fumes just in front of the rear tires.